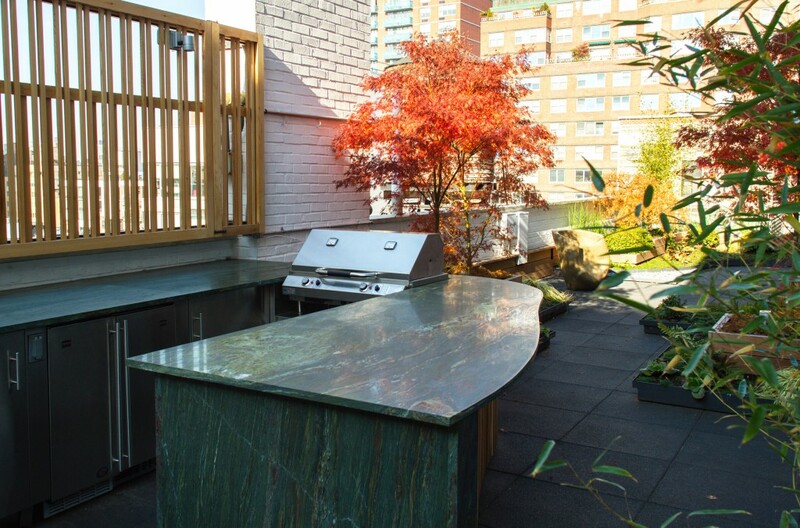 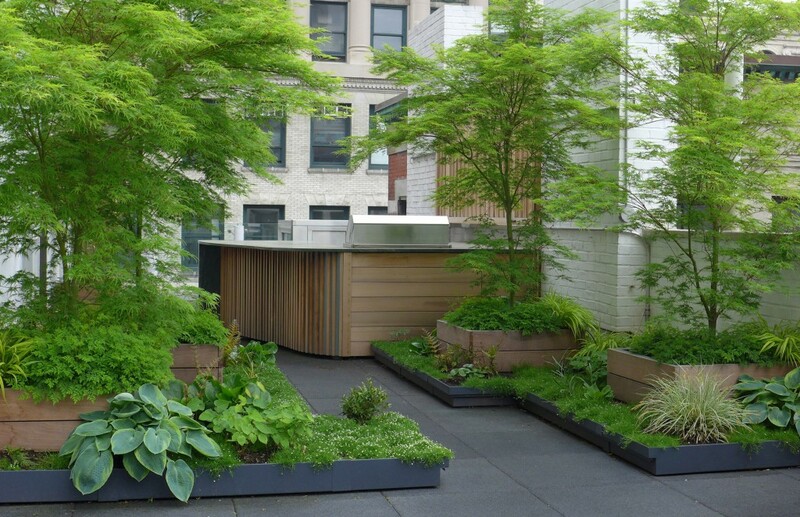 Downtown Rooftop Garden - Blondie's Treehouse, Inc.
A 1,000 sf rooftop garden in Manhattan. 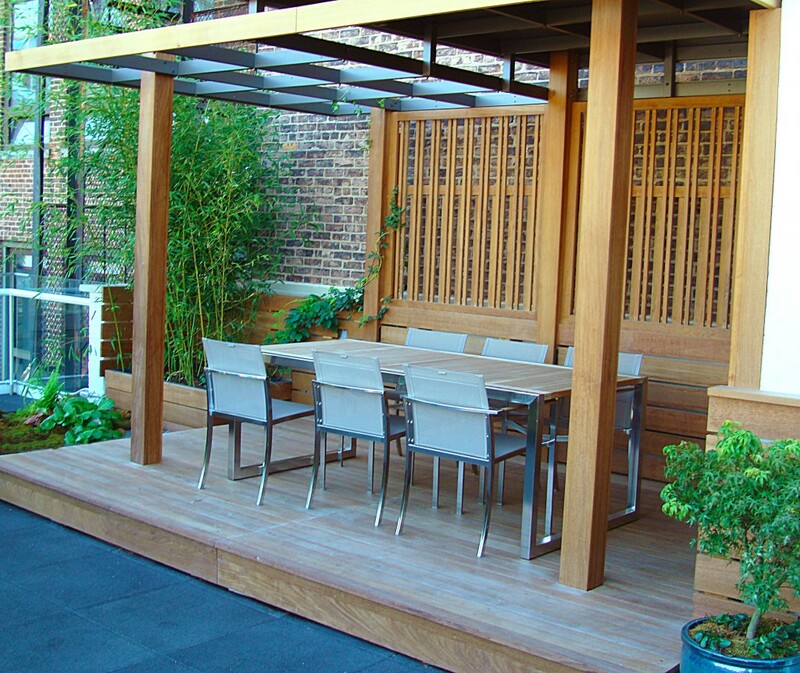 A Japanese inspired garden with tri-level planter boxes, an arbor for dining and an outdoor kitchen. 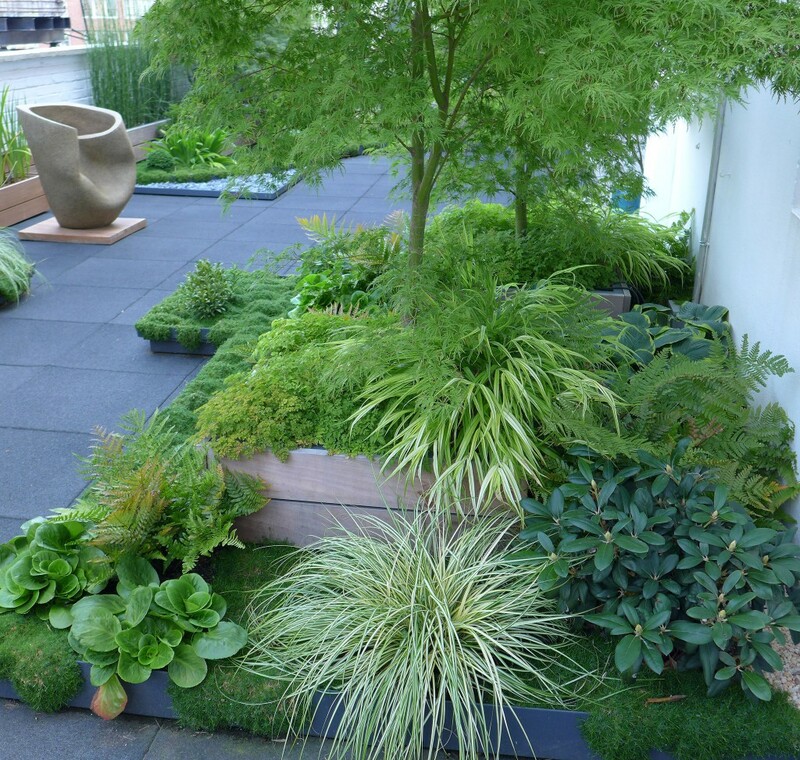 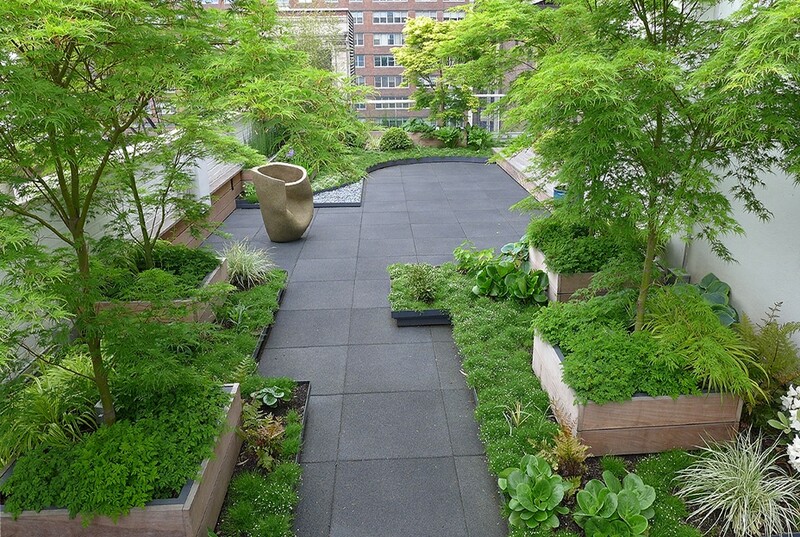 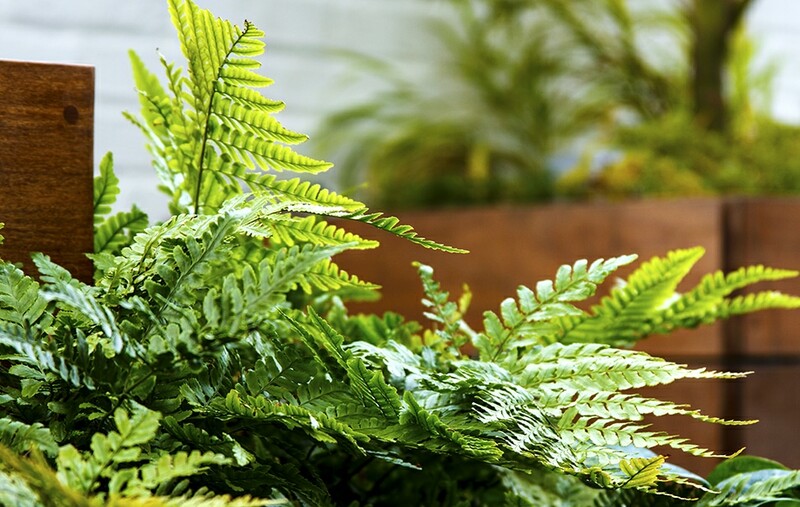 The low moss planter boxes reinforce the horizontal plane of the roof and suggest walking thru a woodland. 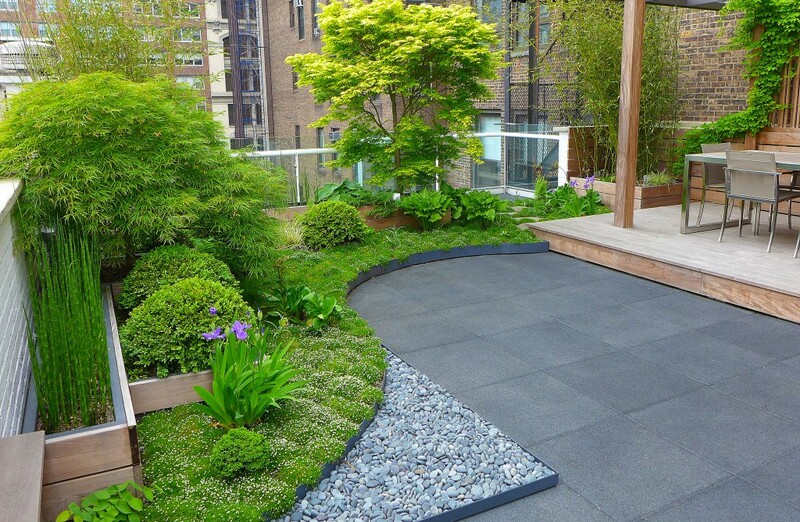 The roof membrane is covered with a rubber tile.